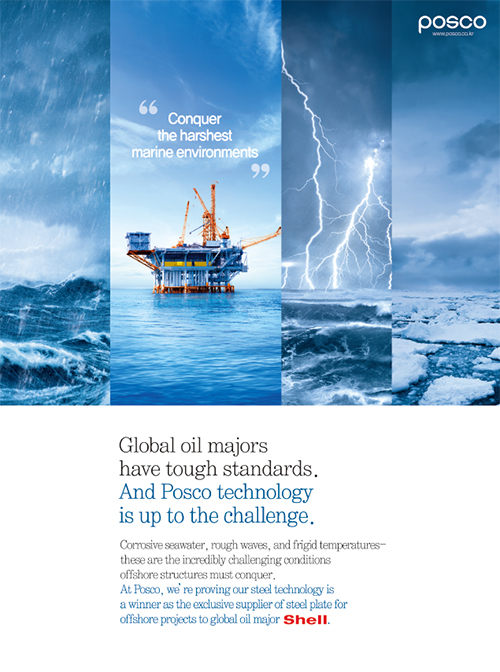 Global oil majors have tough standards. And Posco technology is up to the challenge. Corrosive seawater,rough waves, and frigid temperatures- these are the incredibly challenging conditions offshore structures must conquer. At POSCO, we're proving our steel technology is a winner as the exclusive supplier of steel plate for offshore projects to global oil major SHELL.